Water Fleas aren't fleas at all, or even insects. 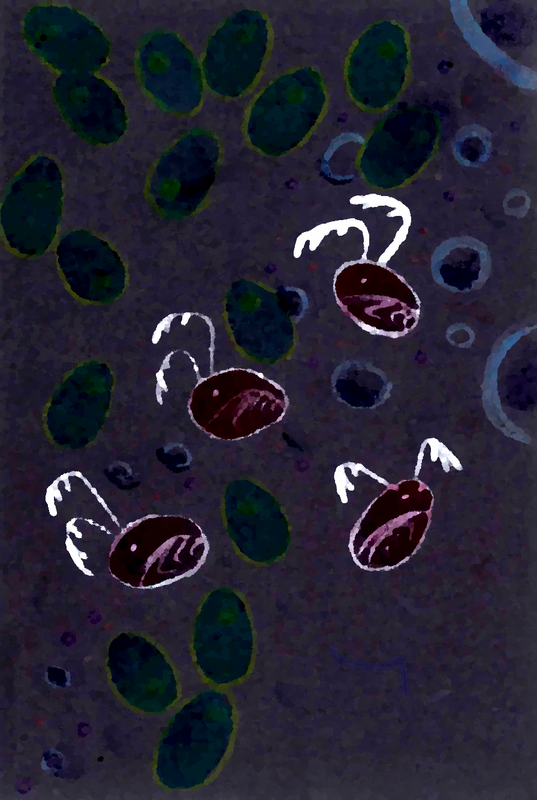 They are crustaceans in the Cladocera order, Daphniidae family, also commonly called daphnia. There are about 150 species in North America. They reproduce parthenogenetically, that is without mating, and generally, most populations are made up females. You can observe a lot with only modest magnificatrion, including: their heartbeat, filter feeding, and giving birth. They eat mostly algae, helping to clarify water. Most have a transparent shell, which on the MN DNR website is described as taco shell shaped. Legs are inside of this shell. 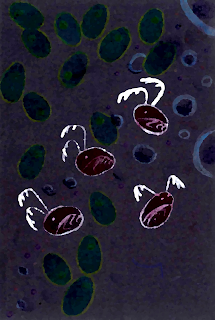 They swim with their two large antenna, using their legs to move water for filter feeding. They sport one large compound eye. If you've swam in a MN lake, you have probably swam with water fleas (don't worry, remember, they aren't actually fleas).